Long weekends call for short road trips! 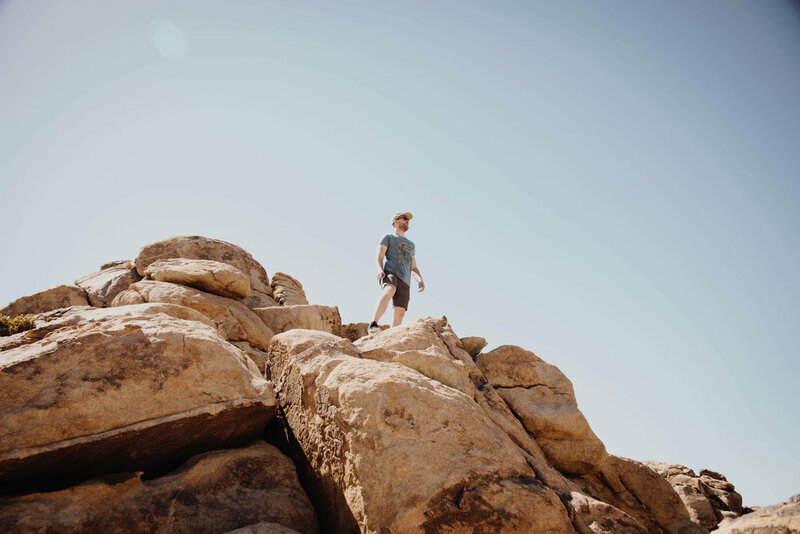 Some may call me crazy for going to Joshua Tree National Park on a holiday weekend and they're probably right, but the park was surprisingly tame. Plus, it's pretty easy to get away from the crowds when there's 1,235 square miles of desert to explore. We decided to forgo the crowded campsites within the park and instead, booked our campsite through HipCamp. We slept under the stars, right off of Twentynine Palms in downtown Joshua Tree. We explored the park from top to bottom, climbing up rocks and boulders to see the vast landscape and kneeling low to the ground to inspect odd looking plants and critters. One of my favorite parts of the park was the Cholla Cactus Garden. We arrived right at dusk and were quickly surrounded by "teddy bear" cacti as far as the eye could see. 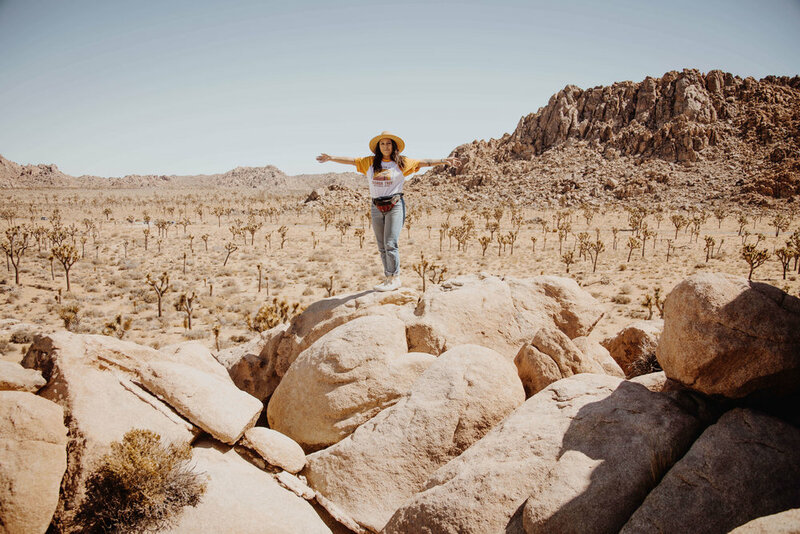 When we weren't hiking, we were exploring the whimsical and eclectic vintage shops in downtown Joshua Tree. We also took a little detour and wandered around the infamous Pioneertown. 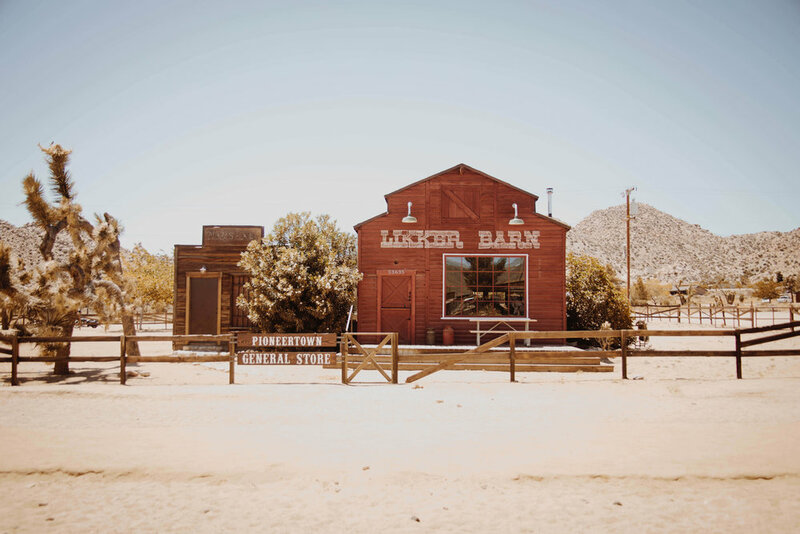 This quaint western town in the middle of nowhere was built from the ground up in 1946 by a group of Hollywood investors that dreamed of creating an old western set that would actually thrive as a real town. More than 50 films and television show were filmed here in the 1940s and 50s. Its charm still holds up, with whimsical shops and events. The desert heat eventually wore us out and I'm sure climbing and hiking had a little something to do with it. So on our final day, we woke up early and drove up to Keys View, located in the park. All that would be required of us was sitting down and enjoying the view of the Coachella Valley. Joshua Tree definitely did not disappoint and I can't wait to go back!